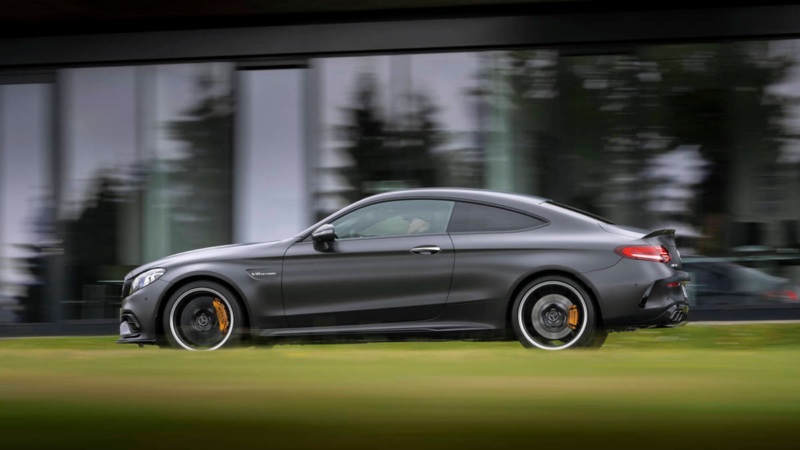 Slideshow: The new Mercedes-AMG C63 S is now a quieter, yet capable sports car. And it that feels more refined and efficient than its predecessor. The words loud, brutal, fast, and irate do nothing but describe the norm when it comes to the AMG cars of today. For anything that packs a twin-turbo V8, a brutish character is one of the key attributes. 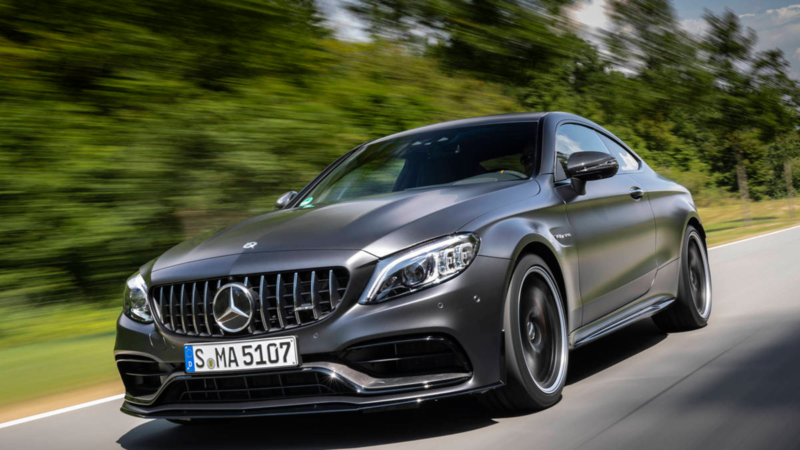 Mercedes-AMG recently decided to redefine the high-performance sports car segment with the new C63 S. They carried out a review, adding some special updates that make the car more comfortable and a little less fiery. The hairy-chested V8 is now well-mannered. This is thanks to a makeover that had the guys at AMG working to knock off the rough edges. The blistering performance now comes with an aspect of gentility. Output remains the same at 502 hp and 516 lb-ft of torque. The conventional deep roar and sinister growl that emerges under hard acceleration also remain. >>Join the conversation about the new C63 S lineup right here in MBWorld forum. The main focus in the C63 S upgrade was the refinement of the rather harsh adjustable suspension that was in the previous model. 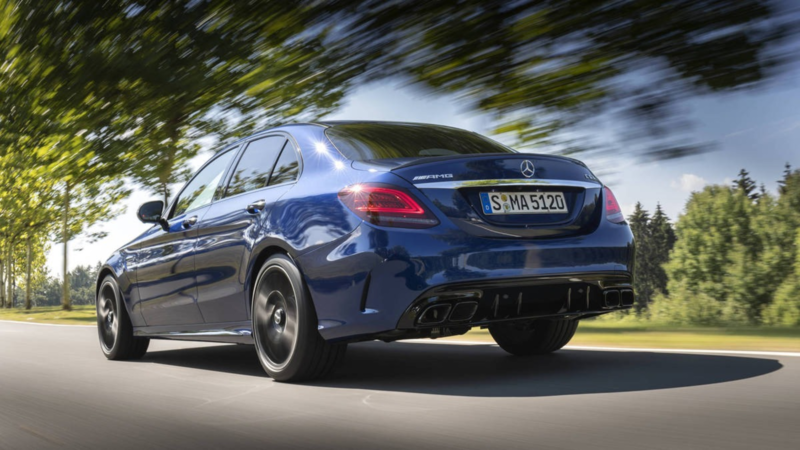 Mercedes-AMG tuned it to include more comfortable driving modes. These allow the car to maintain its nimbleness around corners while reacting more gently to bumps and small pits found on city roads. A new 9-speed multi-clutch automatic transmission comes in place of the old 7-speed wet-clutch automatic. The guys at AMG added additional cogs to allow for quicker shifts. The previous transmission was convulsive under light throttle. The new 9-speed brings a bit of civility and does a great job of making the C63 S feel like a racing luxurious limo. 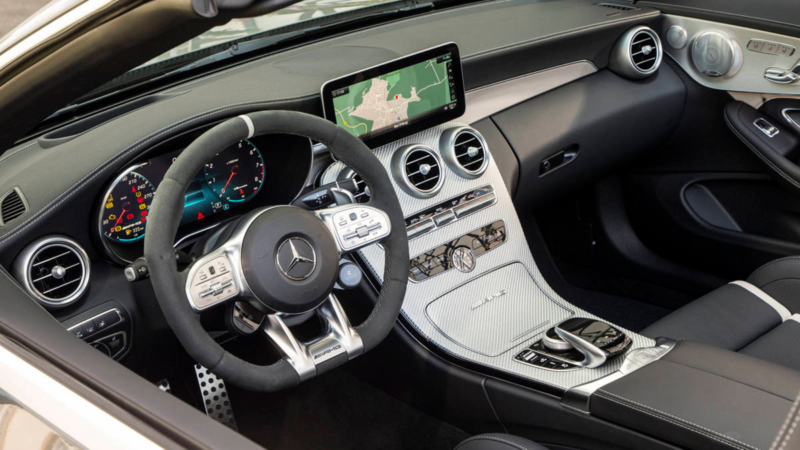 The new cabin is a complement to the car's overall luxurious touch. The dash now features a wide center screen and a driver's digital widescreen display. There are plenty of tiles and buttons perched on the steering wheel. These allow you to customize the car's interior from sporty to a serene ambiance. The driver now has access to individual details such as power and torque, a G-Force gauge, and fuel consumption metrics. The two-tone leather seats also make the C63 S interior a great place to be. When cranked up, the engine crackles like an angry supercar. The Track Pace program comes with a number of European race circuits pre-loaded. Drivers can add their local tracks, record split times, braking points, lap times, and speeds if they wish. 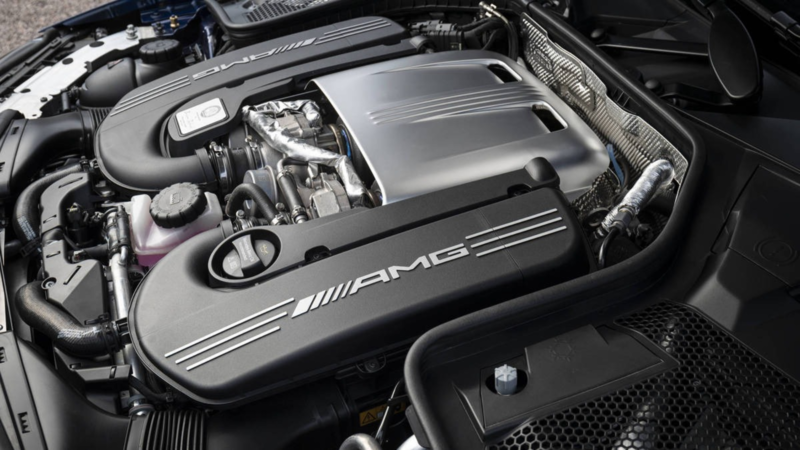 The fuel economy has also been improved with the newest iteration of the AMG machines. 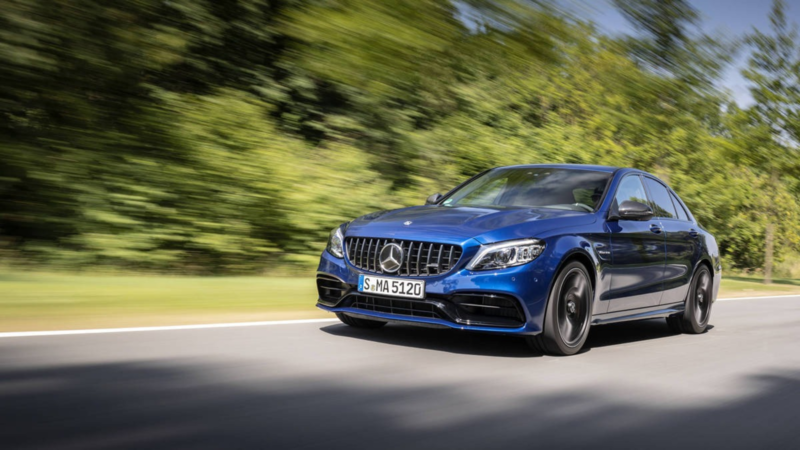 Whereas the 2018 C63 S had an estimated 18 miles per gallon fuel consumption in the city and 24 in the highway, the 2019 models are rated at 18/27. While the in-city fuel economy remains the same, the highway driving consumption has improved significantly. 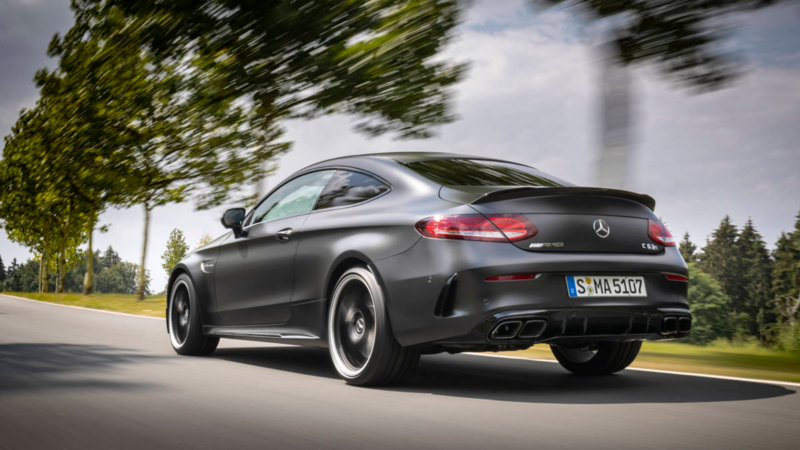 The C63 S sedan starts off at $74,600, while the 2-door coupe, which is at the top of the range, stands at $76,450. If you add a drop-top, the numbers shoot to a whopping $83,800. 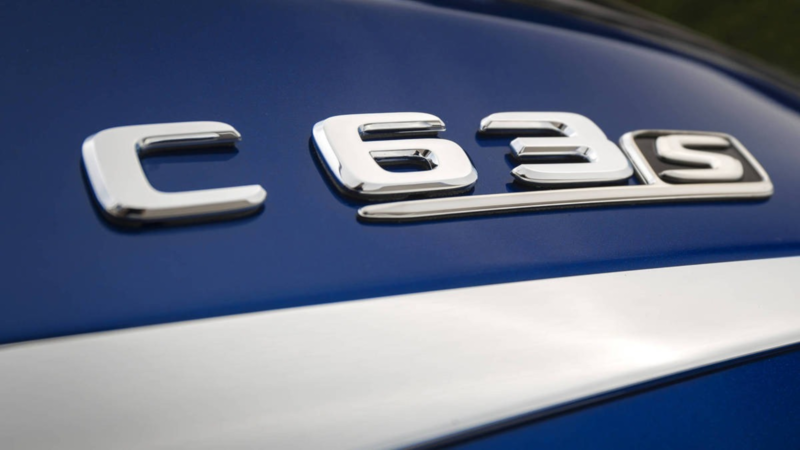 All in all, this new and improved lineup of potent AMG monsters takes the C63 nameplate up to an even higher level.